The UNI Jetstream combines the waterproof smoothness and fast drying time of a ballpoint pen with the vibrant colors and the crisp, consistent lines of a gel pen. 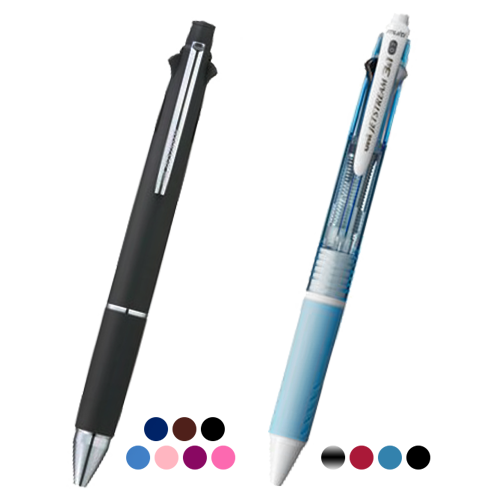 Its ink cartridges features a special spring mechanism that prevents ink leakage, plus a twin ball in the back of the tip to prevent backflow. This multi pen combines three colors of Jetstream ink into one convenient multi pen—perfect for students and professionals.